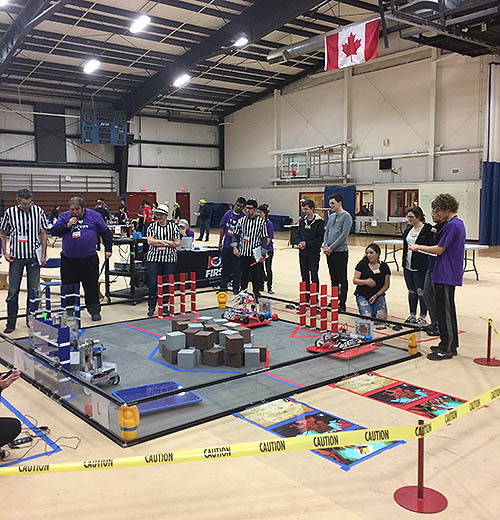 On January 24, BC held it’s second FTC League event at St. Michael’s University School in Victoria BC. Ten teams from BC and two from Washington State participated. I volunteered as the Field Technical Advisor. We were late getting the matches started as set up and robot inspections took longer than planned. But matches went fairly smoothly, so we were only a little be late finishing.